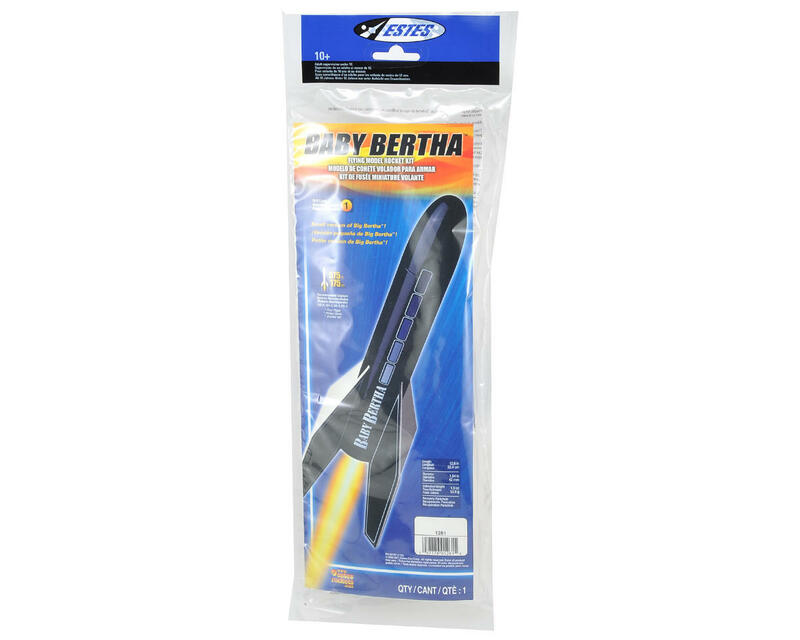 This is the Estes Baby Bertha Model Rocket Kit. The Baby Bertha is a half-sized version of one of Estes' most popular rockets, the Big Bertha. Estes took the great looks of the original design and shrunk it down to just under 13 inches making it an ideal Skill Level 1 building experience. The result of this engineering effort is a sky grabbing, high performance mini version of its bigger cousin, but in a smaller and easier to build model rocket. The Estes Baby Bertha is a Skill Level 1 kit, which requires assembly and can be built and finished in just a few hours. You can paint this high flying rocket like the package or create your own Go Wild design! The kit features the distinctive looking laser cut wood fins, a blow molded nose cone and easy to apply self-stick decals. When powered with standard C engines, it can streak to over 575 feet and is easily recovered with the aid of a colorful 12 inch pre-assembled parachute. 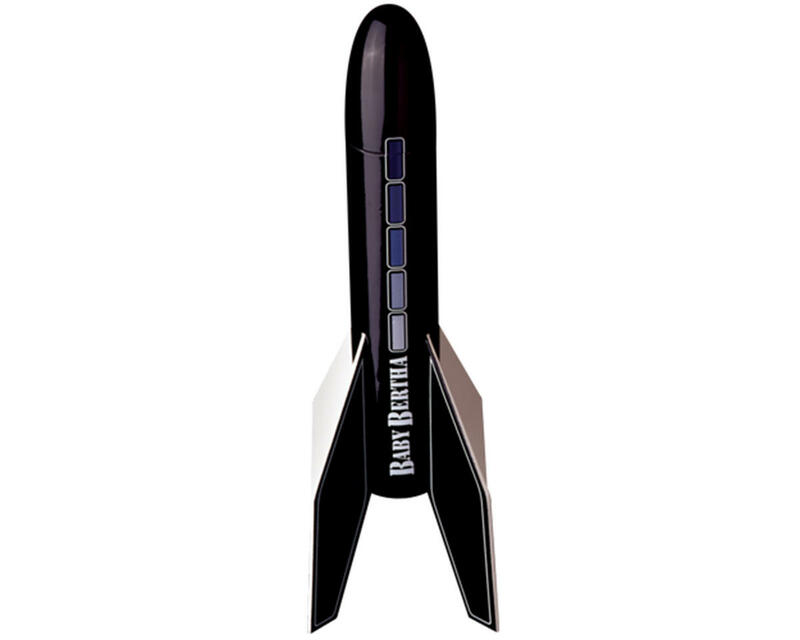 Complete your set of Berthas with the addition of this mini missile today!